I graduated from the Medical Academy of Warsaw at the Faculty of Medicine and Dentistry. I have many years of experience in the field of prosthodontics and implant prosthodontics. My openness to children and adults alike makes it possible for them to rely on me at any time. 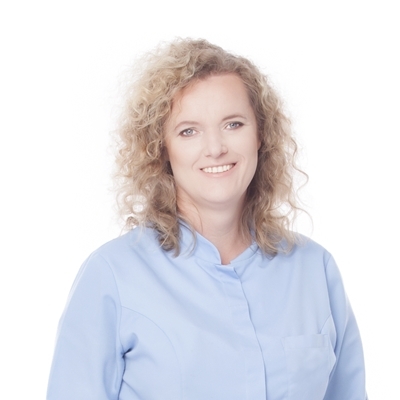 My extensive practical and theoretical knowledge is constantly broadened through participation in a series of conferences and training sessions in the area of prosthodontics, aesthetic dentistry, implant prosthodontics and endodontics. At work, I am primarily focused on the wellbeing of patients. Interests: classical music, mountain climbing. Straumann, expectations versus clinical reality. The current state of knowledge on aesthetic dental implantology. Post-treatment care of patients in implant prosthodontics. 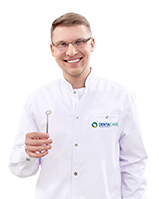 The 7th Warsaw Course, Endodontics – Periodontology – Prosthodontics – Implant treatment.